We practice innovative furniture restoration techniques, but still uphold “old school” upholstery practices to improve furniture performance. We don’t believe in short-cuts. You really can’t tell it’s a slipcover. Using muslin, our slipcover templates are individually patterned to uniformly fit each unique furniture style. Fabric is pre-shrunk when washing is appropriate. 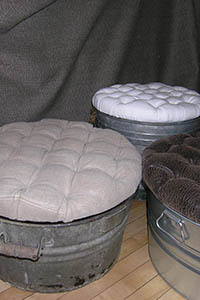 Slipcovers allow modifications to style and design, creating a truly unique product. Nothing feels more rewarding than the right duvet, coverlet, comforter, or bed skirt. No more issues with duvet inserts that shift around, bedding that is too short, hot, or heavy! Specifications for bedding are unique to each customer. We can also explore custom bedding lines, such as Eastern Accents. Consultations are advised for all custom window treatments due to the various factors involved such as: mounting, installation, functioning aspects, sizing, proportion, and selection of fabrics. 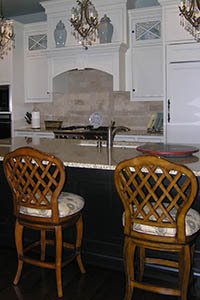 We can select from a multitude of options to meet your window treatment needs. 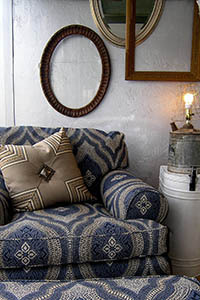 Updating these small items is the most inexpensive way to be creative with texture and color for indoor and outdoor living. Down, Dacron, lumbar, boxed, welted, flanged – so many decisions. We have pillow samples to share with you to help make the selection process easier.